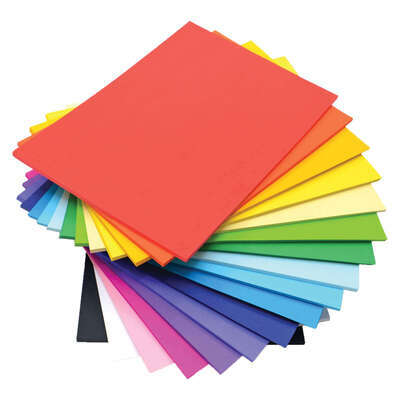 Bring the brightest and most popular colours into your classroom today with our Vivid Lightweight A4 Cardstack. An invaluable source to all manner of educational and crafting environments, each sheet has been constructed from a high quality 125 GSM card and has been supplied in bright, bold colours. Paints and inks won't run, allowing them to create true masterpieces in seconds while each sheet can be cut and manipulated to suit your own needs. This large and economic pack is supplied in a sturdy storage and dispenser carton which keeps each sheet in pristine condition until needed. This cardstack is perfect for the craftiest of classrooms and the most inventive of art classes. While you're here, consider adding the Glitter Glue Class Pack to your resources today? Or, protect their clothing during every messy play session with the help of our Children's Play Apron Red 70cm.